The 40 days of the Lenten Season is like Major League Baseball’s spring training but for Christians. In mid-February all Major League Baseball players gather at their spring training facilities to start preparing for their new season. I think the Spiritual Journey during the 40 days of Lent is similar to the spring training of a baseball player. As Christians we undergo spiritual training during this Lenten season to grow into mature servants of God. 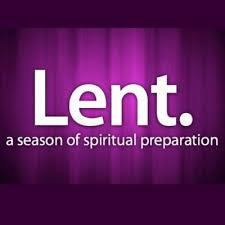 What are your plans and goals for your spiritual discipline during this Lenten Season?